Playful pastoral scenes, like the one in this painting, feature prominently in the designs Boucher created for tapestries, prints, and porcelain services. 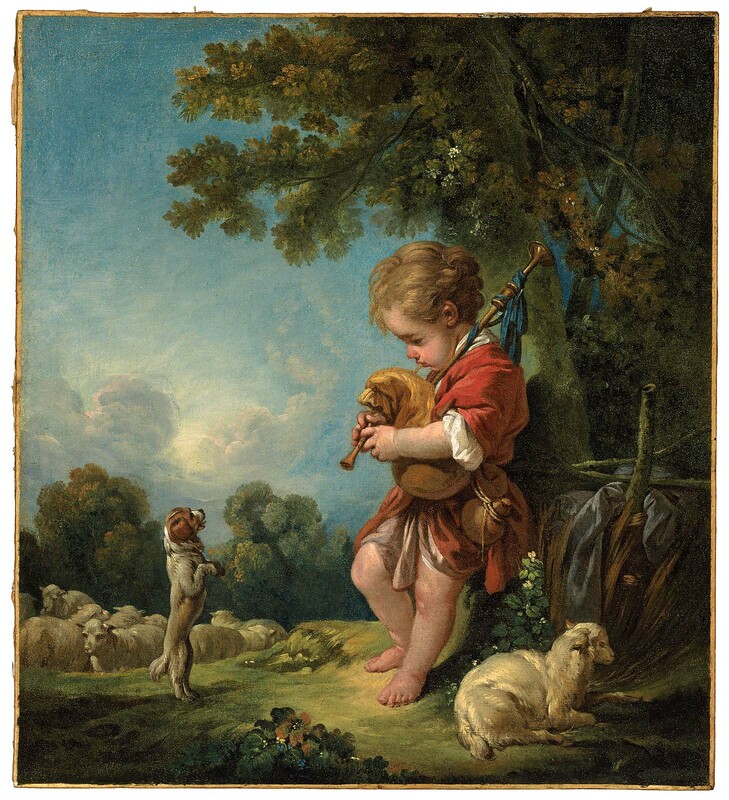 This image of a little shepherd boy playing the bagpipes to a small spaniel was reproduced in a wide array of forms. In addition to etchings and copies, the motif was used for a series of tapestries called Boucher’s Children created by the Parisian Gobelins manufactory. It was also adapted into a porcelain figure and a design for the top of a snuffbox. He may have been buying for Alvan Tufts Fuller.